Don’t settle for another mundane car shopping experience, come to Ray Brandt Kia, where the options are many and the people are friendly. We have been serving the New Orleans area from Harvey for quite some time now, and we are always excited to help out a customer in need. We have partnered with the Kia brand to deliver these reliable vehicles directly to the people of New Orleans. The Ray Brandt Automotive Group is large, but we still remain family owned, and we still focus our efforts on this wonderful community. The next time you want to get a car and you want to have fun, then come to Ray Brandt Kia, and let us show you how much fun car shopping can be. We have developed this versatile website to serve you better. Now you can find everything that you need to get the car or the service that you deserve right in one convenient spot. Browse through our impressive inventory of new Kia vehicles. We have all the models that you are curious about including Optima, Sorento, Soul, Forte, and several others. We even have an extensive used inventory that is bound to have the perfect vehicle for both you and your budget. If you are looking for a place to get your Kia serviced, then we have the team of service technicians that you need. You can even schedule an appointment or request parts right online. Let us make your automotive life easy. Kia is a company that innovates. They create vehicles with expert craftsmanship, superior reliability, and stunning styling. Kia is changing the automotive world and they are creating astounding value propositions. If you have been interested in the Kia brand, then you should satisfy your curiosity. Let us show you what a Kia is capable of. Come to our lot and find the Kia that’s right for you. We have all the most popular Kia models including, Optima, Sorento, Soul, and Forte. We never pressure our customers, and we always deliver wonderful car shopping experiences. When a few pictures and some stats just will not do, come down to visit us in person. A Kia has to be experienced firsthand. At Ray Brandt Kia, we have a huge used inventory featuring all your favorite brands. There is something for everybody here, and if you are still looking for the integrity that comes with the Kia name, then there are several pre-owned Kia vehicles that you have to choose from. With this many options, you are sure to find something that excites you and something that will fit into your lifestyle. Not only do we have a huge variety, but every one of our used vehicles has also been meticulously inspected for quality. You don’t just need any car. You need a car that’s ready to be driven, and you need a car that can be had for a great price. You can have both with the used selection that we have at Ray Brandt Kia in New Orleans. Getting the right service for your Kia is important. There are still a lot of service shops that are unfamiliar with the Kia brand, and most other places are simply not prepared to provide everything that your Kia may need. 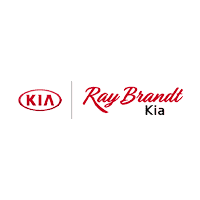 At Ray Brandt Kia, we will take care of you and your vehicle. We can do everything from oil changes to major engine work, and we will always treat your Kia as if it were our own. You don’t just need service, you need honesty. We will always be straightforward and upfront with you. When we give you a quote, you can rely on it. We always fix your car right, and we always do the service that we promised to do. No more, no less. Finding the right parts for your Kia should not be difficult. Unfortunately, there are a lot of inexperienced people working behind parts desks out there. Let our experience at Ray Brandt Kia, work for you. We know what we are talking about when it comes to the Kia brand, and we can always deliver the parts that you are looking for. We don’t just have any parts here at Ray Brandt Kia, we have genuine OEM parts. That means you get the same parts that Kia would have used to build your car in the first place. Not only can we supply you with the parts that you need, but if you are interested, we can install them too. Our service team has experience installing every part under the sun, and they are the best team to get your Kia back out on the road. Ray Brandt Kia is here for all your parts and service needs.